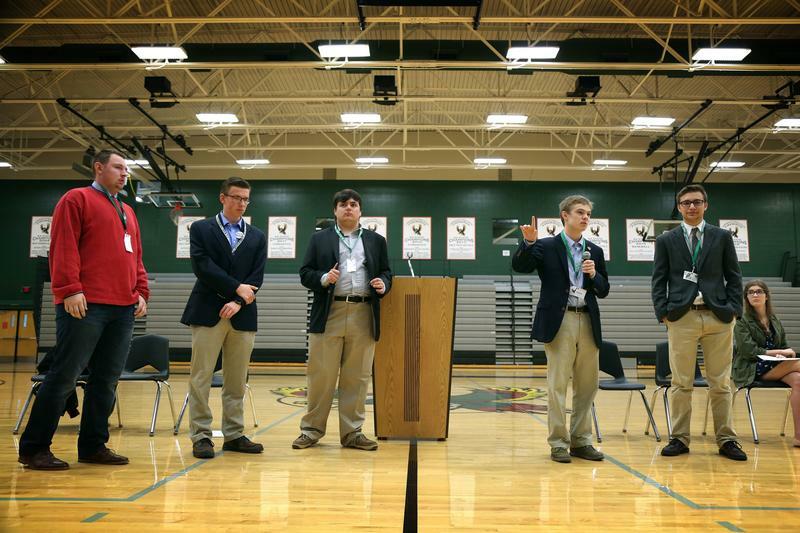 Four teenagers running for Kansas governor took questions in Lawrence last fall. Pending legislation would require them to be at least 25 years old to run for governor in Kansas. Kansas lawmakers have approved new restrictions blocking teenagers and out-of-state candidates from future races for governor. The bill says starting next year, candidates must live in Kansas and be at least 25 years old. 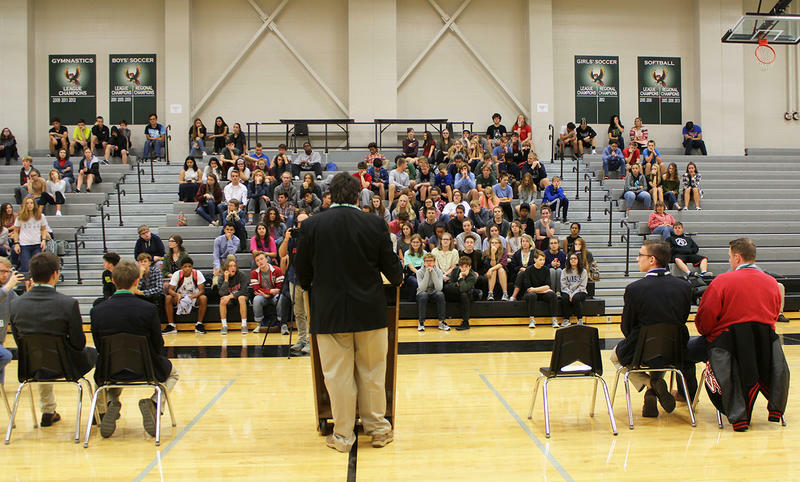 The state’s lax laws have led to several teenagers, and residents of other states, joining the campaign for Kansas governor. A wave of candidates even included a Hutchinson man attempting to enter his dog in the race. Republican Rep. Keith Esau said young people can still take part in politics by running for local office or working on campaigns. “There are lots of places to get involved in the political process without starting at the top,” Esau said. He’s chairman of the House Elections Committee and is running to become the Kansas secretary of state, which oversees state elections. Esau said the changes will keep people off the ballot who aren’t serious candidates. “It helps focus on the candidates who have a legitimate possibility of winning in the campaign,” Esau said. Democratic Rep. Vic Miller blasted the bill for cutting young people out of gubernatorial races. The bill is an “attempt to discriminate against young people who are interested in making our state a better place,” Miller said. The legislation also touches on other parts of Kansas election law. It says any candidate for Kansas attorney general must be a licensed attorney. That drew opposition from Republican Rep. Brenda Landwehr, who said non-lawyers with law enforcement experience, for instance, could be qualified to serve as attorney general. “This will eliminate and omit a lot of potential good candidates with that law enforcement background,” Landwehr said. The legislation also clarifies the rules for voting by mail. It says disabled people can still cast a ballot by mail if they’re unable to sign the envelope. About two dozen votes in Sedgwick County were thrown out last year because disabled voters were unable to sign their names. The changes are now headed to Gov. Jeff Colyer, who can sign the bill into law or veto it.